A used oscilloscope is undoubtedly one of the most common types of test equipment in the lab or in the field. Today’s used and new oscilloscopes are more powerful with prices for all budgets to meet growing test challenges. From 10MHz to 100GHz, we have the solution for you. 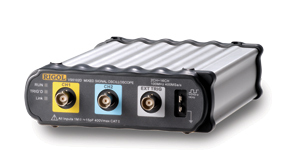 The oscilloscope finds numerous applications in research and development, manufacturing, and maintenance of a broad array of electrical and electronic systems. Unlike their predecessors, many scopes come in smaller designs that are optimized to deliver speed and precision. Virtually all industries use electronic systems that require regular monitoring and testing. Regular monitoring of signals allows an engineer or technician to easily diagnose defects that have the potential of causing failures. Addressing such problems as soon as they are detectable helps to reduce failure cases. This translates to limited downtime and high reliability and efficiency. Without the ideal testing tools, engineers and technicians would be unable to accomplish this. An oscilloscope offers the ability to observe and analyze various signals over a given period of time. Their calibrated scales enable users to analyze various characteristics of a waveform with ease. For instance, a user can easily monitor the amplitude, period, frequency, shape, distortion and other properties that may be of interest for a particular waveform. Many manufacturers offer various types of oscilloscopes to meet the diverse requirements of the customers. Some offer general purpose oscilloscopes as well as application-specific types that are optimized for particular uses. Some of the most popular manufacturers of oscilloscopes include Agilent, Keysight, Tektronix, Teledyne LeCroy and Instek. 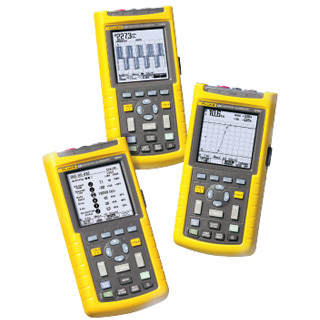 Most of these quality manufacturers offer digital as well as analog models of oscilloscopes. However, the race for better oscilloscopes has been favoring the digital models resulting in a decline in analog models. An oscilloscope is usually designed for applications in a particular range of frequencies. Virtually all manufacturers use this as a major criterion while designing different models of oscilloscopes. Showing (1-30) of 1565 total products. For general uses, a general purpose model can be a suitable choice. However, some applications may demand models that are specifically designed for a particular use. For instance, an oscilloscope designed for medical applications may be different in appearance and features from a model designed for telecommunication uses. Other factors that one should consider when selecting an oscilloscope include frequency ranges, cost, portability, ruggedness, number of channels, and form factor. 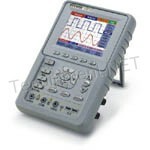 In addition, one can choose to buy a brand new oscilloscope or a used one. The latter is more cost effective and can be refurbished to meet or exceed original manufacturer specifications. 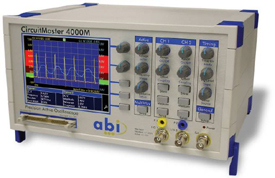 Test Equipment Connection offers used and new oscilloscopes. We offer non-biased multiple manufacturer solutions to meet the different requirements of our valued customers. 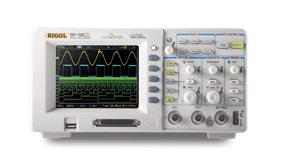 If you are looking for a high quality oscilloscope for use in designing, manufacturing, or in maintenance, consider our extensive inventory of both used and new equipment. Are you looking for an oscilloscope that is suitable for telecommunications applications, sciences, or general engineering uses? We have an ideal oscilloscope for your specific application. Contact us today for a quote. We also take trade-ins.